How often have we cried out this lament about our fledgling mindfulness meditation practice? I know I have. I still get overwhelmed, get sucked back into autopilot habits of reactivity of overworking, overthinking and over critiquing. ‘It’s not working’ – I can hear the whisper of judging mind in the background – and it quickly spirals to inner critic who laments ‘I’m no good at this’. When we practice, we learn the intention of mindfulness is simply awareness. Accepting what is here without the need to change it. So today I welcome the ‘it’s not working’ thinking since it may be waking me up: perhaps to unrecognised expectations? to feel difficult emotions that are naturally resisted? Can I check in rather than check out? And a post from the elephant journal resonated for me. It was a response to the query – ‘Is meditation a way of escaping reality?‘. ‘It depends’, was the response. It depends – on intention. Ah, here we go. So I pondered some more, musing on intention. There is meditation for relief, for healing and lots in between. A continuum as it were, at one end relief and at the other end healing. What is my intention? My doorway into the practice is relief. For sure. 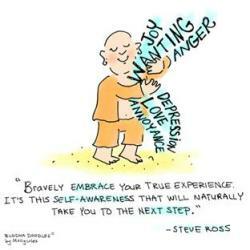 A practical and essential coping tool and a skill for living with as much ease as possible. So I guess that means I am sitting more at the ‘relief’ end of the continuum of intention? But I also appreciate and seek, perhaps even expect, the ‘healing’ potential of the practice. And I am reminded now of the many paradoxes of mindfulness – seeking out that middle path: between effort and ease, between allowing and letting go and between acknowledging yet not getting caught in the story and impact of thinking and feeling. Between relief and healing perhaps? The elephant journal post continues: ‘If intention is primarily for relief, then we may be using the practice to escape pain and suffering.’ And that’s ok. Sometimes that is exactly what we need. It is a wise choice. We’ve been overworking for way too long, we need the relief of rest. This is wisdom. We’re in the midst of emotional turmoil, overwhelmed and relief is the necessary first step if we are to respond effectively. But relief is only temporary. When we practice mindfulness meditation, especially in the face of difficulties, we temporarily focus attention away from what’s bothering us. We become absorbed elsewhere – in the simplicity of the breath, in the wonder of nature and in the vibrance of sensations. Our heavy thoughts and feelings are distant, in the past and we can only focus on one place, in one moment, the present. BUT, the mind does not rest in one place indefinitely. It wanders. Inevitably. Thoughts & emotions intrude; some swirling and dramatising once again. ‘It’s not working’ thinking shows up on repeat! Strong thoughts & emotions return, perhaps because they need our attention. BUT, and here is the mindful difference – it is the kind of attention we give them that is key. And herein lies the power to change our experience of that whirligig of thinking and feeling. Some people call it a ‘healing attention‘, one that is ‘infused with loving awareness that is equal parts compassion, non-identification and balance‘. Others call it a ‘loving attention’, a ‘kindly awareness’ and a ‘compassionate presence’: we witness the pain and suffering of those thoughts and emotions with attitudes of kindness, openness and heartfulness. We tend to our wounds and hurts as we would tend those of loved ones. So while mindfulness is inherently a neutral quality of attention, when we practice we may soon discover that opening to all that is here is tough. Maybe we fall asleep. We zone out. We become agitated, restless maybe. It takes courage and effort and this is how mindfulness and compassion are so intertwined, compassion so crucial to the practice. Without compassion there can be no mindfulness. No mindfulness without compassion. Checking out I know I am checking out; checking in I know I am checking in. No judgement either way! The quality of attention, of compassionate awareness, washes through from stilling the body and mind and flows through these ‘knots of suffering‘. It’s scary to let it in, and to let it all go. So practiced are we at self-protecting that we resist. Of course we do. We all do? We stick to what we know, even though it hurts. Better the devil you know than the devil you don’t, right? Certainty feels less painful than the pain of uncertainty. I know this to be true. So the knots tighten up. They rant. They rave. And we return down that continuum towards relief. And that’s ok. This is the practice. Maybe this is the ‘why’ we practice. In the face of difficulty, in the face of pain, in the face of the daily friction of living. The more we practice witnessing, experiencing all that is, little by little we strengthen our capacity to acknowledge the pain and suffering that we run away from over and over again. Without becoming overwhelmed and stuck. The more we feel, in a whole body way, with compassion and acceptance, letting go of what we ‘know’ we may come to a new kind of knowing and a new place of peace and ease. A place that is beyond the limits of those initial expectations? So maybe, if it feels right, taking some moments to practice now, to pause and reflect. 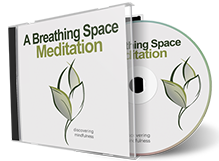 I invite you to practice the 5 minute free meditation on my site here. Settle into stillness and check in with what is happening for you in this moment. Maybe drop in some of these questions and see what arises. What is my intention in practising mindfulness? What is my present moment experience? Can I allow all that is to be present? Can I cultivate a kindly presence that helps me to witness thoughts and emotions, as I feel them in my body and mind; and let them go? What do I need to nourish myself now? What words might be offered? What gesture? Perhaps resting hand on heart? Feeling the breath; the body rooted to the earth in presence, in compassionate presence. Remembering to come back to the breath and the body, sensing sitting here – the anchor to the present – whenever it feels right. Rest in relief mode. That’s ok. That is wise. We are always starting over. We can explore and be with difficulties, as and when it feels right. We can let go of ‘it’s not working’ thinking and be present with what is. Checking in & Checking out. We’re doing the best we can. That’s enough. Well for me right now at least!